The tree below shows the ancestors of Roger and Carroll Biggins Byrne. Of the 64 great great great grandparents for Roger and Carroll, 43 are Irish, 8 are German, 5 are Scottish, 4 are British, and 4 are Swiss. 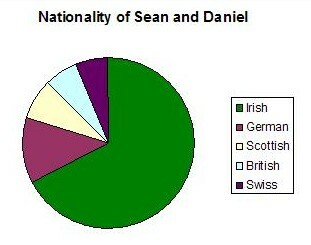 Their children, therefore, are 43/64ths Irish, 1/8th German, 5/64ths Scottish, 1/16th British, and 1/16th Swiss. Roger had his Y-chromosome DNA tested in 2011, and it matched an ancient line found in Ulster and Scotland, haplogroup I2b1a1 (see IslesSc (I2b1a) M284+, L126+). 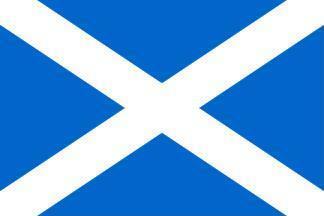 Carroll's father Peter Biggins had his Y-chromosome DNA tested in 2008, and it matched descendants of Clan Colla, three brothers who lived in 4th-century Ulster.